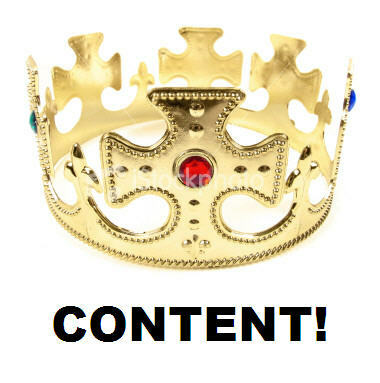 The need for content alone, regardless of quality, is an old, outdated trend. Now you must set yourself apart to get those same clicks, according to Rand Fishkin, CEO of SEOMoz.org, in a recent video. See Fishkin’s SEO advice below. Standing out from the crowd is made easier with a few extra steps to make your content of a higher caliber than your competition, according to Ali Husayni, the CEO of the SEO service company, Millionairium. “The industry is constantly evolving and SEO has grown to encompass much more than on-site optimization. It’s really only five or ten percent of the total work,” Husayni says. After all, SEO now is all about generating useful, high-quality content on a regular basis, along with technical research for keywords relevant to the company, and a long-term link building campaign. No matter which part of the process you are in, a strong SEO effort has the constant need for the production of updated content with useful, relevant information in it. The demand for new content, all the time, makes creating quality content tough, but worth it, for those willing to put in the work, according to Fishkin. So remember, sometimes less really is more. Yeah, Quality content loved by user and search engine bot. User give positive vote by their social media account for informative and useful content. I think this is one point for better SE result after panda update. There are two important aspects of web content.For simplicity\’s sake, we\’ll call them Quantity and Quality. Quality means that the content should be well written and be free from those embarrassing typos that make visitors wonder if your website really knows what it\’s talking about. Quantity, on the other hand, means that your website should be updated regularly with new content added. A visitor may return to an informational article once, or even two or three times, but if your website\’s content never changes, eventually, there will be no reason for him to return. Anyway, this blog displays a higher level of thinking! Nice. Thanks for sharing the article. As per my reading on net, SEO is also judged based on the quality of content and amount of time the visitor is spending on a particular page. But sometimes, the keyword insertion does make the content lose its authenticity, and a content writer\’s skills depends on how much they can minimize the dilution of original content from using keywords. We are too… everything will be finalized Friday. Great things ahead! I think that the key thing to have is quality content, while it also ranks in the search engines, to draw more traffic initially, while you are waiting for your website to rank for your main keywords.